Is it just my computer, but I couldn't open the link, nor could I open the cruise-line's main website either. Was this the same photo as the one which was shared in Maasmondmaritime Newsletter - the one without a single Norwegian Captain? The link seems to work today - that was a really nice video to watch. Love the truly special view of these four ships together..... pretty astonishing indeed! Even better, they plan to do it again in 2020 too! 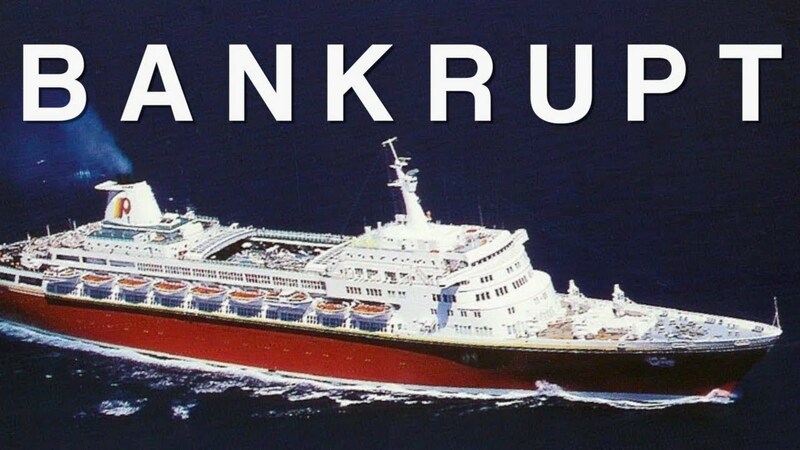 I would like to share this interesting video about Premier Cruise Line and it's demise. Are there anyone on this board that has ever sailed with this cruise line or have any experience with them? This has become quite a tradition - cruise ships gathering here on that day. The first of the three Expedition Cruise ship for Hapag-Lloyd is scheduled to be delivered from Vard Langstein this April. Never heard of the concept "study wall", so it will be interesting to see once it's up and running. 10 more of the 930 pax size Oceangoing cruise ships, 2 Polar Expedition ships and entry into the Mississippi River Cruise market is already in the works. They grew up similar fast in the River Cruise business. Founded in 1997, they own now about 60 ships! The company is based in Switzerland, and the river ships were financed with German money (KfW-IPEX bank). Don't know about financing of the Ocean fleet. Hagen was born and raised in Norway. He earned a degree in physics at the Norwegian Institute of Technology and an MBA from Harvard Business School in 1968. Hagen was a consultant, and later partner, for McKinsey & Company in Europe, helping to bring Holland America Line back from near-bankruptcy in 1974. In 1976, he became CEO of Bergen Steamship Company (Bergenske Dampskibsselskab), and then became CEO of Royal Viking Line from 1980 to 1984. He joined the board of Holland America Line in 1985, and later served on the board of Kloster Cruise. In the early 1990s, he acquired a 27% stake in Royal Nedlloyd, a Rotterdam-based shipping company, becoming the biggest shareholder. He sold his shares several years later at a loss. Then he founded Viking River Cruises. Viking River Cruises now control 50% of the European river cruise market according to that article. PS> I think this has been featured here already. I remember seeing a lot of "news-stories" about the Freedomship all across Internet decades ago, as well as in magazines of all sorts. She came to live every other year, and I was surprised that this "old and outdated" news again has resurfaced.